Also on my painting table are this guys. 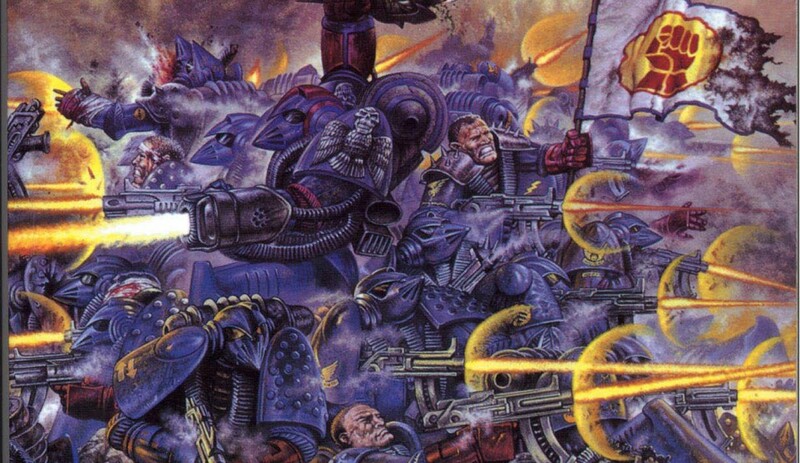 Some might not call them Oldhammer, but they are made of lead. 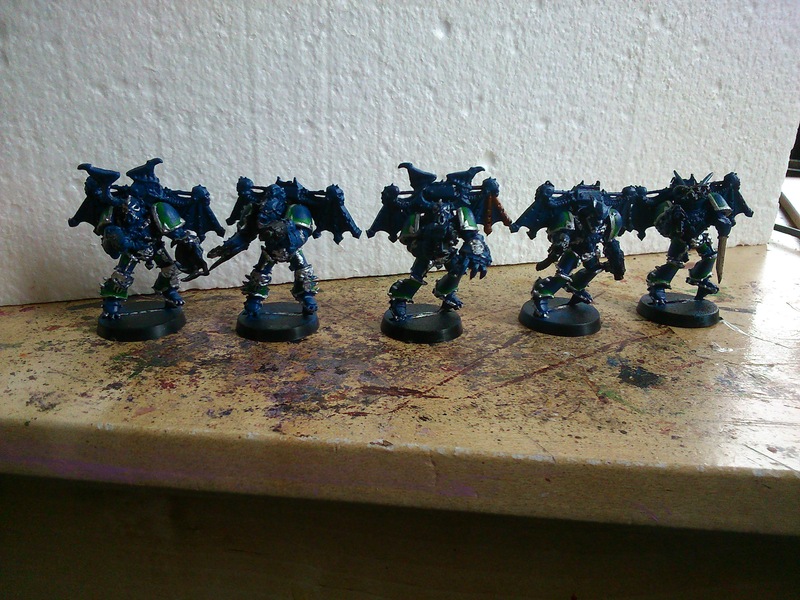 These are Chaos Raptors, from the early 00s. Very spiky and thus hard to paint. As you can see, I’m doing them as Alpha Legion. I’m not sure I’m going to be very happy with this gang. In order to spice it up a bit I’ve used a couple of Possessed arms and a Chaos Spawn head to mutate some of them. These Raptors are as much monster as man, throwing themselves from the sky to tear their enemies apart. These are hardly started, you’ll see them again when they’re done!